The Prime Minister, Shri Narendra Modi with the young contributors who developed the new PMO App, at the 2nd Year Anniversary celebrations of MyGov, in New Delhi on August 06, 2016. In a bid to make India a digital nation by 2019, PM Narendra Modi has unveiled the PMO app. The app aims to further strengthen the connectivity between Central Government and the citizens. The app was launched in a ‘townhall’ event in Delhi and is an extension of the MyGov initiative by PM started in July 2014. Around 2000 participants of MyGov.in website were invited and those who frequently participated and offered constructive criticism and suggestions on the MyGov website were also felicitated by Modi. MyGov is a platform that empowers the citizens of India to contribute towards Surajya (good governance). To date, it has reached 3.53 Mn registered users, 182.09K submissions in 492 tasks and 3.40 Mn comments in 590 discussion themes. He also laid stress on a range of issues such as technology, good governance, tourism and preventive healthcare to transform the nation. 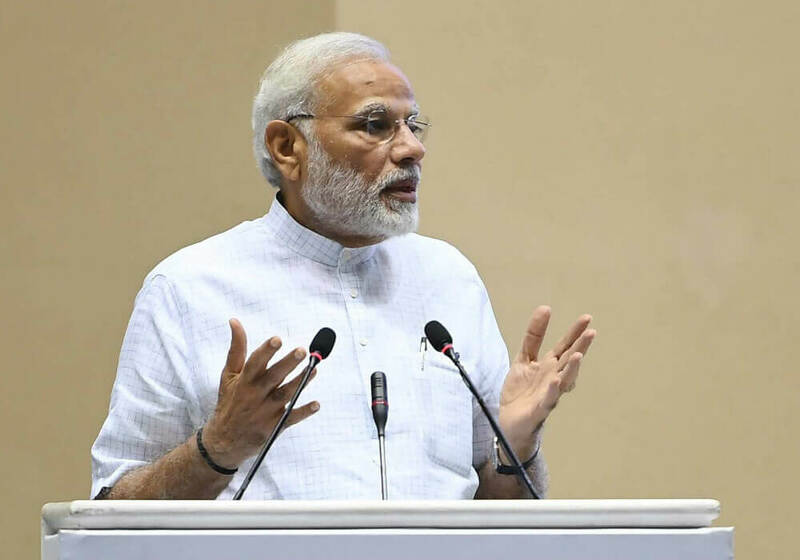 Modi has introduced many reforms towards digital transformation such as the government employees’ attendance tracker, IRCTC new website, IRCTC App (IRCTC Connect), Bharat domain and more. Here are some more tweets on Pm Modi’s viewpoints shared during the event.